The County Team Champs is one of the highlights of the British junior swimming calendar and a must for family, coaches and friends to attend. Here’s some useful information for if you’re heading to Ponds Forge for this year’s event. Ponds Forge ISC has limited car parking on site, and will become full from early morning. Alternative car parking is available at ‘Q-Park’ next to the Travelodge on Broad Street (please stamp your car park ticket at Ponds Forge reception to obtain discount). You can view the full event schedule on this page. What facilities are available at the venue? The foodetc cafe offers a range of hot and cold drinks and snacks. You can pay by card or cash. Programmes will also be available to buy at the venue. There are toilets inside the venue and personnel to administer first aid on poolside and on the balcony if required. There will be no doctor in attendance at the meet. Parents and carers of participants under the age of 18 who wish to take images are requested to focus on their own children as much as reasonably possible and to avoid including other children in images, particularly if those images are being shared with family and friends or through social media platforms. Whilst it is acknowledged that parents/carers wish to celebrate the achievements of their own children when taking part in aquatic events, it should be recognised and respected that other parents/carers may not wish for their child’s image to be taken and shared in this way. 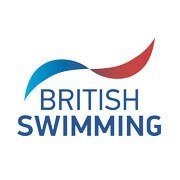 Click here to download Swim England’s Filming and Photography Policy. There is useful information about child welfare in the Swim England’s Wavepower document. Who do I contact with a question about the event? If you have a question about the County Team Champs, please contact us on nationalevents@swimming.org.